This trail offers six miles of paved surface, perfect for rollerblading, walking and biking. Located within the Star City and Morgantown city limits, this trail runs through the Edith Barill Park, the WVU Core Arboretum and the Hazel Ruby McQuain Riverfront Park. 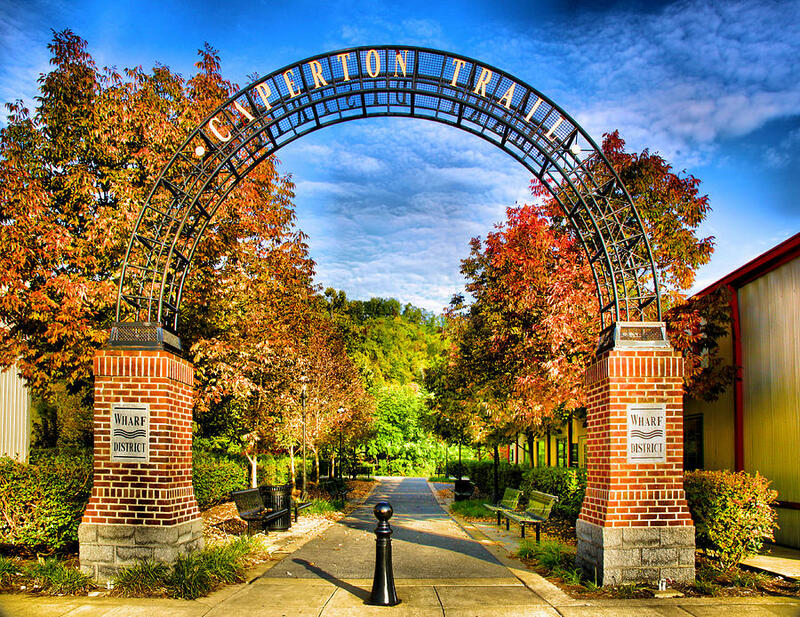 The Caperton Trail is an urban trail with easy access to neighboring restaurants and shopping areas in Morgantown and Star City. There is parking available in Morgantown at Hazel Ruby McQuain Riverfront Park, Seneca Center and a metered parking lot is located in the Wharf District. In Star City, parking is available at Edith Barill Riverfront Park.